The Chicago Cubs will be trying to hang on to first place in the National League Central, while the Pittsburgh Pirates will be trying to hang on, period, when the teams meet in a four-game series that opens Thursday at PNC Park in Pittsburgh. The Cubs (69-50) tied a season-high by reaching 19 games over .500 Wednesday with an 8-4 win over Milwaukee and a split of a two-game series that left them three games ahead of the second-place Brewers in the division. A Cubs offense that has been sluggish since the All-Star break pounded out 13 hits. The Cubs held a players-only meeting before their game Tuesday against Milwaukee, but then went out and lost 7-0. Wednesday, they thrived after manager Joe Maddon shuffled the lineup. "For the most part, we do work great at-bats," said Maddon. [post_ads]While a wild-card spot seems more realistic than a division title for the fourth-place Pirates, who dropped nine games behind Chicago, they could change that conversation in a couple directions with their performance this series. The Pirates (61-60) ended a road trip 4-5 after Minnesota completed a two-game series sweep of Pittsburgh on Wednesday, 6-4. 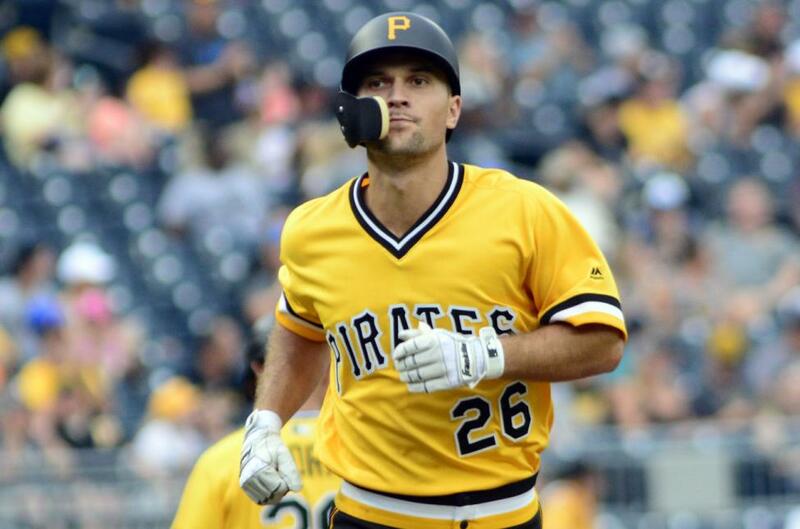 Since an 11-game winning streak that thrust them into realistic postseason contention, the Pirates are 8-11 and in danger of falling back to .500 and perhaps out of that playoff conversation. "There is a sense of, 'Yeah, everything matters,'" Pirates manager Clint Hurdle said of his players. "Now it's time to go home, play a team on top of the division. I know we're looking forward to that." The status of Pittsburgh shortstop Jordy Mercer and center fielder Starling Marte is unknown. Mercer left Tuesday's game in the fourth inning because of left calf discomfort and did not play Wednesday. Marte was a late lineup scratch Wednesday because of illness. In the series opener Thursday, Chicago left-hander Jon Lester (12-5, 3.89 ERA) will face Pittsburgh right-hander Ivan Nova (7-6, 4.42). Lester, an All-Star for the fifth time this season, hasn't had a commensurate impact lately. The Cubs have lost each of his past three starts -- the first such stretch in his outings in a year -- and he does not have a win since before the All-Star break, giving up 26 earned runs in 22 2/3 innings with a 10.32 ERA in his five starts since the break. He is coming off an abbreviated appearance Saturday, when he gave up eight earned runs in 3 2/3 innings in a 9-4 loss against Washington. "I'm seeing the same stuff -- I am -- from the side," Maddon said. Before the All-Star break, Lester was 12-2 with a 2.58 ERA in 19 starts. "I don't want to cop out on anything, but I guess I'm just in this rut right now," Lester said. "Unfortunately, the rotation has been throwing the ball well and now I'm the guy who's not. That's a bad feeling personally as a teammate, letting the team down, letting the bullpen down." Against the Pirates, Lester is 7-6 with a 3.59 ERA in 16 career starts, including 2-1 with a 4.70 ERA in four starts this year. Nova is coming off a 10-5 win Thursday at San Francisco, when he gave up two runs and three hits in six innings. He is 5-2 with a 3.88 ERA in 11 starts since he was reinstated from the disabled list (finger) and has given up just one homer in his past five starts. While he has been part of an up-and-down season for the Pittsburgh rotation, Nova believes in the staff. "We've got good starting pitching. Believe it or not, we do," Nova said. "We have some good guys capable of pitching the way that they've been pitching. You just want to follow their game." Nova is 4-1 with a 3.63 ERA in six career starts against the Cubs, including 2-0 with a 2.84 ERA in two starts this season.